There’s just something about the weird and occult stuff that intrigues people. It may be real or not but horror stories really get people interested but we all know that most scary stories are fiction and the ones that make those stories so scary are the objects. Some of those objects actually exist in our world today. These objects may be so tempting to throw away but the familiar circumstances surrounding some of these objects are way too convincing to deny that something more sinister might be happening. Here are 15 disturbing cursed objects that actually exist. In 1970, Annabelle the doll was discovered in an antique shop. After being purchased as a gift from a mother to her daughter, Donna, strange stuff started happening. Upon receiving it and bringing it home, she noticed that, over the time, the doll would appear in other room that she did not put. Then little notes would begin appearing around her apartment randomly and fresh droplets of blood would appear on the doll’s dress. 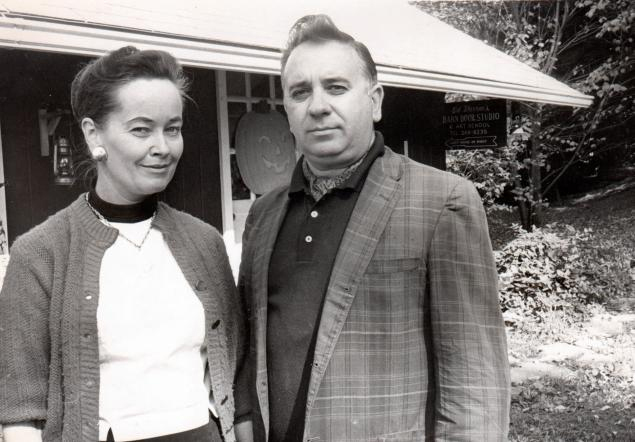 As it continues to happen, they finally contacted renowned psychic investigators, Ed and Lorraine Warren, who said that the doll was possessed by a demon. 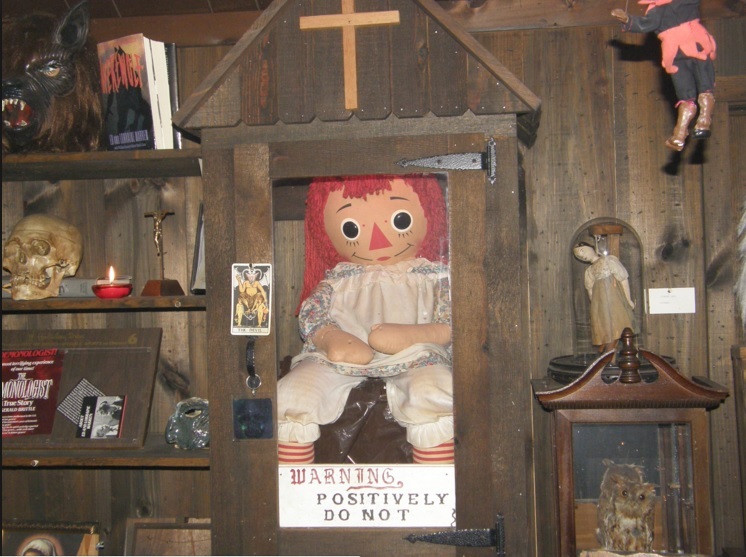 The doll was then given to the Warrens and put it in a glass cabinet where it remains to this day in their occult museum in Connecticut. 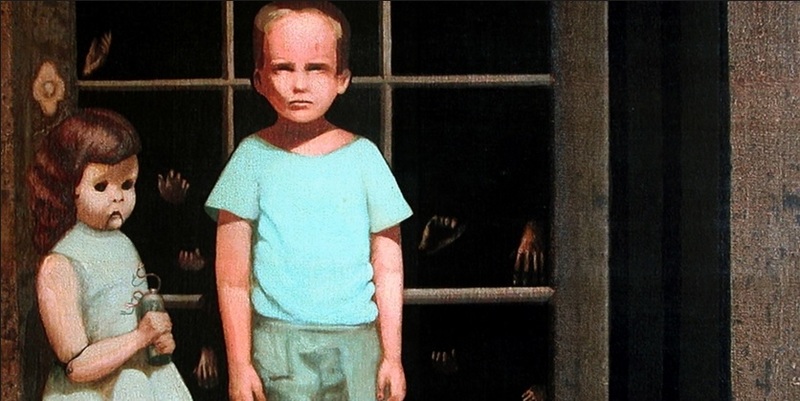 The Hands Resist Him painting was painted by Bill Stoneham and is considered one of the world’s most haunted pieces of art. 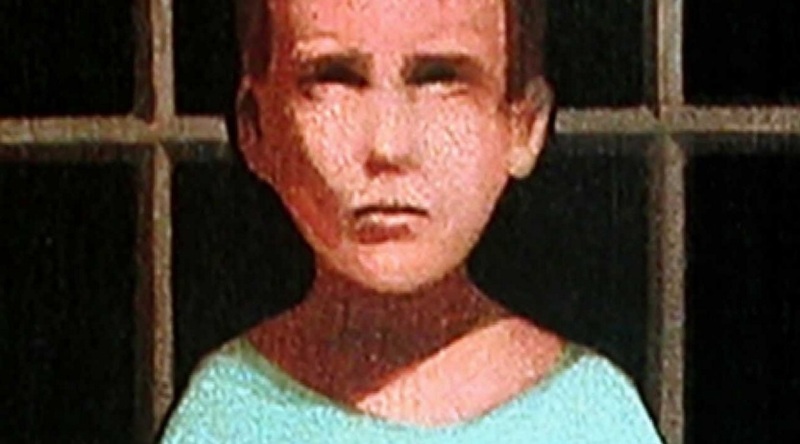 Each owner of the painting has passed on a similar warning to the next potential buyer that come nightfall, the figures within the painting either move or disappear entirely. Many people that have simply viewed the painting have complained about immediately feeling sick or weak. According to Stoneham, the doorway represents a threshold between this world and another. One terrifying coincidence ever documented about the painting is that the owner of the first gallery to ever show the painting and the art critic that reviewed it both died within in one year of first seeing it.